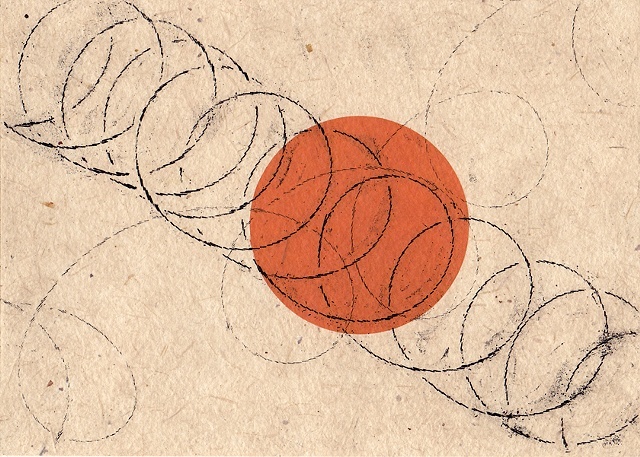 This soft-ground etching reminded me of Slinky, the toy invented and made popular in the 1940's. A favorite pastime with Slinky was making this helical spring walk downstairs. Here an orange ball walks down my version of this toy.